One of the things that people often like to do with presentation software like Powerpoint or OpenOffice Impress is to create a slideshow from a large set of photos. This 'batch import' capability is built into Powerpoint, but not into Impress (at least as of version 3.2). (October 2011 update: there seem to be problems getting it from that 'official' source.... so you can also get it here - right click on the link and choose the option to Save it to your computer). Double-clicking the downloaded file should open the OpenOffice add-ons manager, adding it to OpenOffice. Using it, however, may not be immediately apparent. To use it – open OpenOffice Impress, starting a blank presentation. Click on the Tools menu, then Add-Ons. You can then select Create Photo Album. From here, it should be straightforward.... you can choose a folder or individual files, (with the Choose Files option you can use the Ctrl or Shift keys to pick multiple files). 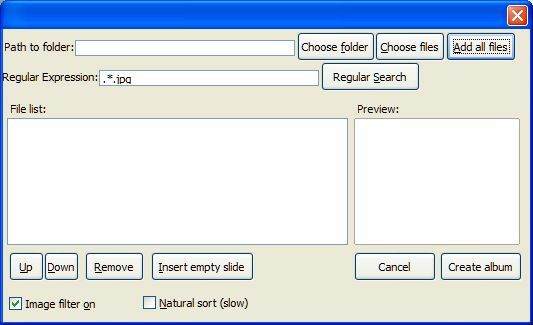 Once files appear in the file list, you can use the Up and Down buttons to change the order in which they will appear. The Insert Empty Slide option will do as it suggests – creating an empty slide from which you can add text. 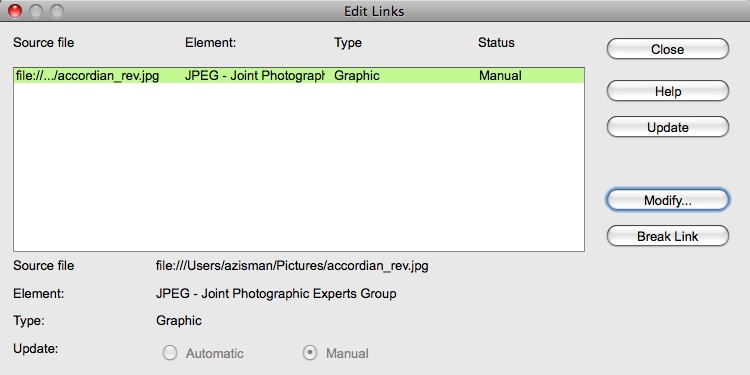 Clicking on an image in the File List will show it in the Preview area. When you think you're ready, click Create Album... in a moment, you'll get a new presentation file, with one slide for each photo, ready to customize (if desired) and go. Note - I am not the creator of this add-on and don't have any connection to whomever created it; I am simply a user hoping to share my experience with this useful tool. I was looking for an extension to OpenOffice like the one you discuss and it worked great... except it did not truly put the image file in the Impress file, only associated the image file to impress. The problem is that if I create an Impress file with this extension and mail the file to anyone the photos do not show. Is there a way to embed the image in the Impress presentation file so that the images show no matter who gets the file? Here's what's happening, I think - Impress can use images in two ways: one way imports the image file, adding it right into the presentation file. This can result in huge file sizes, but makes the presentation independent of the original image location so you can copy it to a USB memory stick, for instance, and use it on a new computer... the second way - which apparently the extension is using - creates a link to the image, which minimizes file size but - as you found - causes problems if you try to use the presentation on a different computer. There's a solution, but it's a bit tedious.... I tried this using NeoOffice, a variant of OpenOffice for older Macs, so the details might be a bit different on your version of OpenOffice. 1) Open your presentation on the computer that has the images. That will embed the image instead of linking to it. I just gave your idea a try. ALL the images were thereby EMBEDDED in the Impress file! YEHAW ! It makes a large presentation file, yes, but they are all there and it works beautifully ! Saves a lot of time and now can be copied and played on any device capable of the Impress file!